Playing laser tag as part of a birthday party, family outing, or corporate event is a fun and refreshing activity. At BattleGR Tactical Games, we offer indoor laser tag in our Grand Rapids arena, and mobile laser tag that can be indoor or outdoor at the location of your choice. Our standard packages include options for 60, 90, or 120 minutes of play. All events are private, and we include invitations. Book your event online now, or call (616) 345-0698 for more information. What better way to add excitement to a birthday party than including laser tag?! 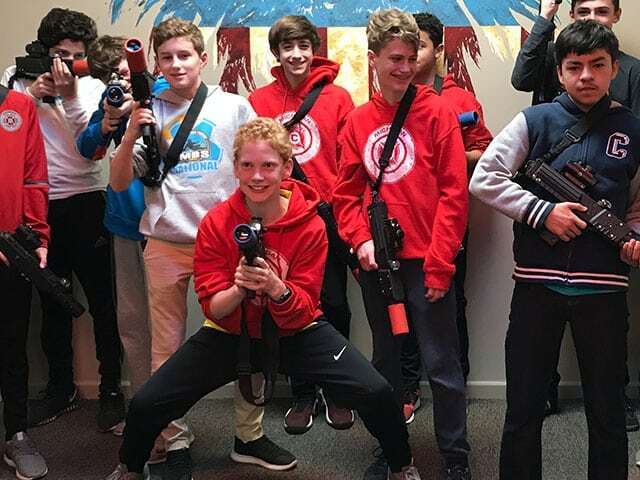 With indoor and outdoor options available, and three party packages to choose from, laser tag can easily be featured in nearly any event. All of our birthday parties are private, include invitations, and can last 30, 60, or 90 minutes. For an additional fee, BattleGR will setup your birthday celebration in a separate party room (included in several of the party packages as well). Have a blast with laser tag at your kid’s birthday party, or blow of steam with your coworkers at a corporate event. Book online now, or call (616) 345-0698 for high volume event pricing. Team Building- An in-depth exploration on how your team works together. Starting with an assessment of each employee to gain a better understand of their individual strengths with tips and opportunities on how to work as a cohesive team. Call (616) 345-0698 for your customized group and large event pricing. Our mobile laser tag service covers a 40 mile radius from our location in Grand Rapids (if more than 40 miles there is a travel fee). Party packages include play time, plus a 10-15 minute instruction time (a 60 min party is really 75 mins). 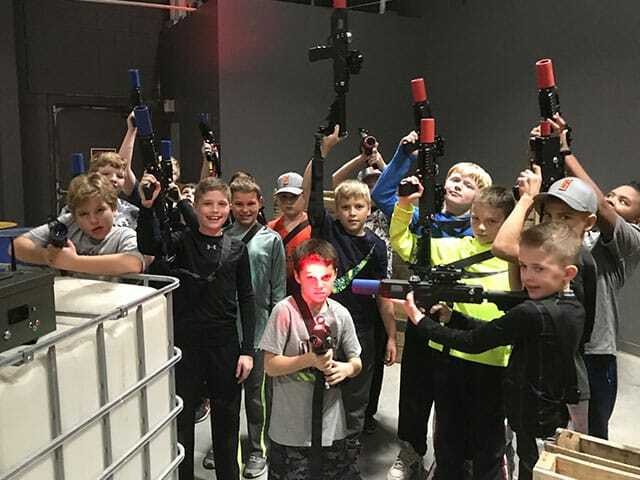 We provide 12 laser tag taggers – 50-60 people can play in an hour. An unlimited number of players can be rotated through a party, and barriers can be added to your mobile party if needed. 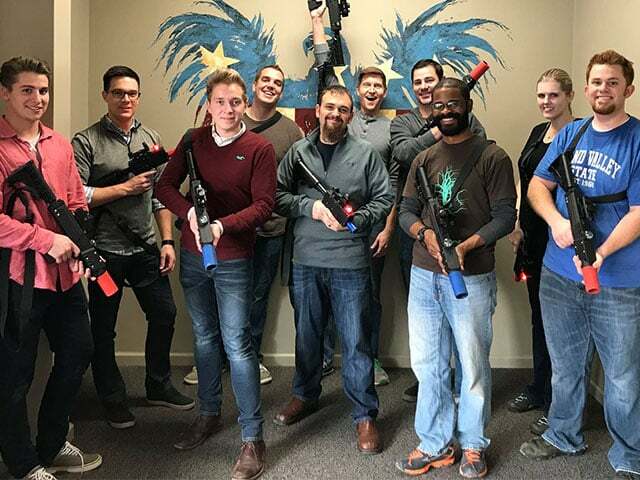 Located in Grand Rapids, MI, BattleGR offers an exciting laser tag playing experience for birthday parties, corporate team building events, and more for the West Michigan area including Grand Haven and Grandville. In addition to laser tag, we offer mobile Archery Tag®. Although not required, we suggest you make a reservation to avoid waiting in lines. Book online now, or contact us at (616) 345-0698 for more information.